Obstructive sleep apnea (OSA) is associated with increased oxidative stress. Certain essential trace minerals have shown to play an important role in the maintenance of redox homeostasis. We determined the concentrations of trace minerals in OSA patients and assessed their relationships to OSA severity as indicated by the apnea/hypopnea index (AHI). We enrolled 44 patients with newly diagnosed mild to moderate OSA and 20 without OSA. 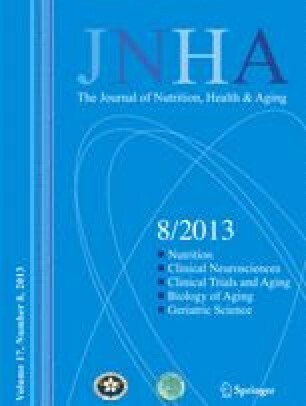 The following parameters were measured: polysomnographic values of nocturnal sleep; plasma trace minerals zinc (Zn), copper (Cu), iron (Fe), and erythrocyte selenium (Se); oxidative stress status; and plasma high-sensitivity C-reactive protein (hs-CRP) and tumor necrosis factor-α (TNF-α). Compared to controls matched for age, gender, and body mass index, OSA patients had lower concentrations of plasma Zn and erythrocyte Se and higher plasma concentrations of Cu and Fe. OSA patients had significantly higher plasma concentrations of hs-CRP, TNF-α, and malondialdehyde (MDA), and lower erythrocyte antioxidant enzyme glutathione peroxidase (GPx) and superoxide dismutase activities. Significant differences in all the above parameters were also found in patients with moderate OSA compared to those with mild OSA. Furthermore, AHI values correlated significantly with neck circumference, GPx activity, and MDA, hs-CRP, and TNF-α concentrations in OSA patients. AHI values were also negatively associated with concentrations of plasma Zn and erythrocyte Se, but were positively linked to plasma concentrations of Fe and Cu. Abnormal concentrations of these trace minerals may reflect oxidative damage and inflammatory response, thus increasing the severity of OSA.